Jamie Oliver has made no secret of his desire to educate the masses. In the past two decades alone, the Essex boy-turned-political crusader - who shamelessly has the same amount of hours in a day as us – has tackled childhood obesity, with the goal to shake up school dinners; overhauled the nation's sugar intake; revolutionised home cooking; and provided a platform to train apprentice chefs from disadvantaged backgrounds. All the while building his own empire - worth a rumoured £300 million. Phew. "If you analyse what I'm saying," he recently told The Guardian of his ideals. "There's nothing clever and there's nothing really that controversial; it's really basic common sense." The friendly TV chef and restaurateur has the same dogged determination when we meet - an infectious energy that sees him bound from one topic to the next. "If I had a magic wand, if I could make one wish for the planet, I'd want every child, at 16, to be able to cook 10 recipes to save their life," begins Oliver, 43, barely pausing for breath between sentences. "I want to teach them the basics of nutrition, and the basics of shopping and budgeting," he says simply. "If you were to gift that to children, we would be in a much happier, healthier, more sustainable place." "But if you look at public health and death, if you can't cook, then your life has a certain curve to it and you'll die at a certain age," he goes on. "Of course, some people don't, but if you take 10,000 people that can't cook, they're dying shorter than the ones that can. "Obviously I'm biased [but] I'm not dramatic, because I think child health and public health is so important." The latest target of his epic anti-obesity drive is junk food advertising. A movement that's seen him call for the Government to impose a 9pm watershed on junk food adverts. "Kids are bombarded, day-in, day-out, with ads for food and drink that are high in fat, sugar and salt. We've #AdEnough," he tweeted back in April. "Interestingly, we have all the science and data from the cleverest people you can trust, that say junk food advertising needs to [happen] after nine o'clock at night," he reasons, resolute in his mission. "But the heads of the advertising organisations and these channels are saying advertising doesn't make kids eat more stuff!" He has another strategy, however: "One of our suggestions is that you shouldn't be able to use cartoons on cereal [boxes] or food that is unhealthy. They should be used for good, not for bad," he explains. "And if you look at all the graphics, the animations and the Disney characters, it's nearly all of it," he says, exasperated. "Disney's legacy should not be in getting kids 'iller', but getting them healthier." But it's not all campaign trails and government-penned letters for the busy father of five (Oliver shares three daughters and two sons with his wife of 18 years, Jools). 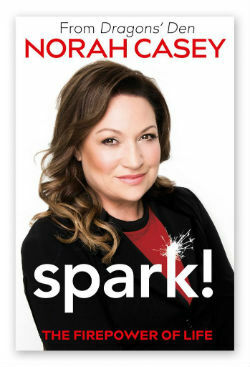 The much-loved star - whose fame accelerated after his 1999 hit series, The Naked Chef - has written enough bestselling cookbooks to fill a small library. Not to mention fronted endless small-screen triumphs. His latest TV foray - Jamie Cooks Italy - is, in fact, the reason we're sat in his plush North London office today. 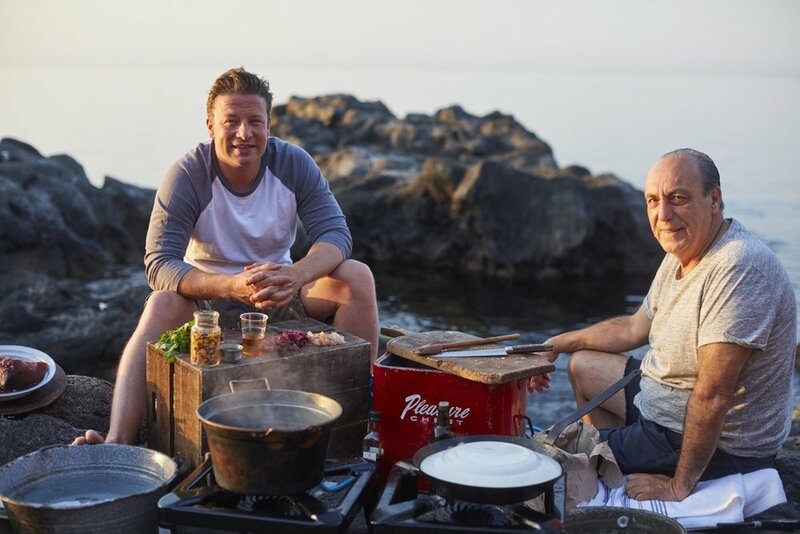 Joined by his long-time friend and mentor Gennaro Contaldo, Oliver will travel to eight different regions - from Puglia in spring and the Aeolian Islands in summer, to Tuscany in autumn and Rome in winter – to uncover the wisdom of the locals, experience seasonal foodie delights and learn the art of traditional Italian home cooking. Who will put them through their paces? The true masters of the Italian kitchen, of course. The nonnas and the home cooks who have perfected recipes that have been lovingly handed down over generations. "I love the Italian approach to life - it fills me with such joy!" quips Oliver, whose love for the cuisine saw him open his first branch of restaurant chain, Jamie's Italian, in 2008. "To be a foreigner in Italy is a real gift; it's really nice, it's very simple. "Italians, generally, are very wonderful people, and as long as you're polite and you smile, and they can tell that you love food - not because you talk about it but because they know you're a foodie - they'll constantly go 'Try, try'," he says, holding his hands out animatedly.